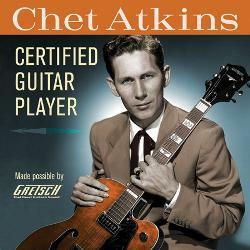 Nashville, TN -- The Country Music Hall of Fame and Museum will pay tribute to one of country music's most versatile and visionary artists, Chet Atkins, with Chet Atkins: Certified Guitar Player, a biographical exhibit opening Friday, August 12, 2011, for a 10-month run in the Museum's East Gallery. The exhibition, which is made possible through the generous support of the Gretsch Company with additional support provided by Great American Country Television Network, will run through June 11, 2012. 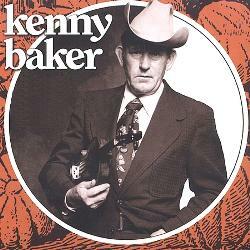 Legendary bluegrass pioneer fiddler Kenneth Clayton Baker (Kenny Baker) died yesterday at age 85. Baker was one of the finest fiddlers in bluegrass and performed with the Father of Bluegrass, Bill Monroe, for a quarter century as a member of Bill Monroe's Blue Grass Boys. 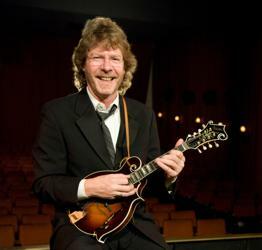 Nashville, TN -- Award-winning artist, band leader, songwriter and mandolin monster Sam Bush will host the 22nd annual International Bluegrass Music Awards on Thursday, September 29, at 7:30 p.m. at Nashville's historic Ryman Auditorium. 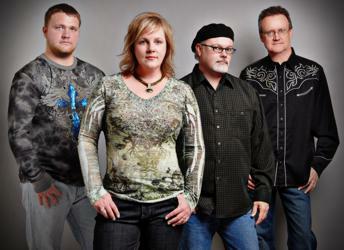 Bush commented saying, "It is my pleasure to return as the host for the 2011 IBMA Awards. As a bluegrass fan and fellow Kentuckian, it's especially important to me in the 100th year anniversary of Bill Monroe's birth. I look forward to spending the evening with the nominees and the winners, as this is their special night." Steve Martin, who has garnered worldwide acclaim as a comedian, actor, writer, producer, and musician, recently added music journalist to his resume. Martin interviews banjo player and composer Tony Ellis in the July issue of The Banjo Newsletter. In a wide-ranging conversation, Martin queries the Ohio-based banjo player about his influences, and how his style has evolved from the early 1960s, when he spent two years with the legendary Bill Monroe & his Blue Grass Boys. 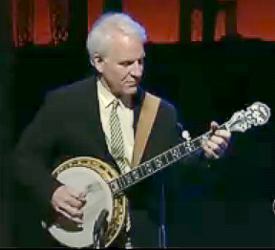 Martin also talks with Ellis about how his music has inspired Martin's own banjo playing, particularly Martin's composition "The Crow", featured on his 2009 Grammy-winning album The Crow: New Songs for the Five-String Banjo. Nashville, TN -- Mountain Music Entertainment proudly announces exclusive representation of Mountain Fever Records artists, The Expedition Show. Mountain Music Entertainment will provide full artist representation for The Expedition Show under the new agreement. The representation will begin immediately. 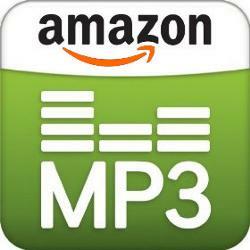 Amazon.com, Inc. (NASDAQ: AMZN) today announced three enhancements to Amazon Cloud Drive and Cloud Player: storage plans that include unlimited space for music, free storage for all Amazon MP3 purchases and Cloud Player for Web, now on iPad. Santa Monica, CA -- /NARAS/In an effort to continuously evolve its GRAMMY Awards process, The Recording Academy has announced that it has restructured the GRAMMY Categories across all genres and Fields, bringing the total number of Categories to be recognized at the 54th GRAMMY Awards in 2012, to 78 (down from 109). All Fields remain the same. The announcement was made at The Academy's headquarters by President/CEO Neil Portnow, Academy Board Chair Emeritus and five-time GRAMMY winner Jimmy Jam, and Vice President of Awards Bill Freimuth. Additionally, a minimum of 40 distinct artist entries will be required in each Category (up from 25). Detailed information on these and other recent changes may be found at www.grammy.com/announcement. 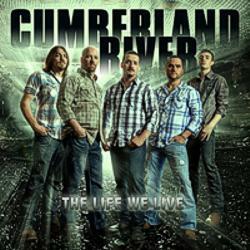 Rural Rhythm Records is proud to announce the new single release, "Cold & Withered Heart" by Cumberland River from their upcoming new album, The Life We Live. 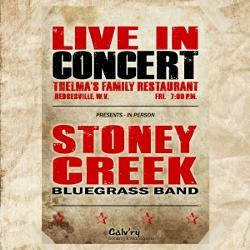 This hot new project releases July 26, 2011 and was the #1 most downloaded bluegrass/folk album on Airplay Direct.com last week. The Life We Live certainly showcases the songwriting talents of this young group with all five band members contributing to this impressive first national release. Bluegrass singer songwriter Donna Ulisse will be taking her music and band The Poor Mountain Boys on their first international trip as they depart for Russia on Sunday, July 10, 2011 for four bluegrass festival dates in a country where bluegrass is seldom heard. 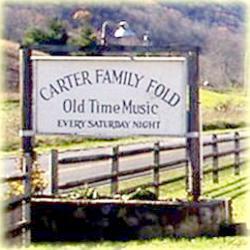 Hiltons, VA -- The Carter Family Memorial Music Center will hold their annual music festival to commemorate the historic 1927 Bristol Recording Sessions for Victor on August 5th & 6th at the Carter Center in Hiltons, Va. 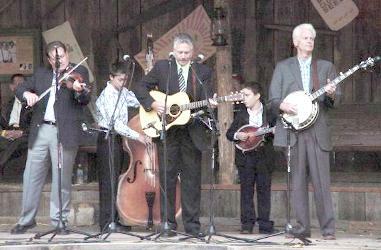 The annual festival features top bluegrass, mountain and traditional music from the region. 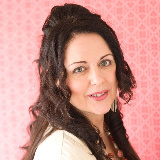 The festival was founded by Janette Carter. 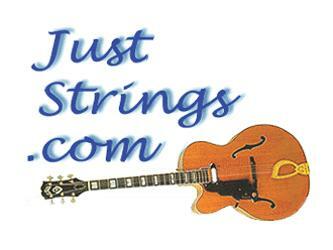 Milford,NY -- /Country Music PR News/ Today, JustStrings.com announced the expansion of their popular line of Bulk Strings for guitarists. The line now includes a wide range of gauges in Plain Steel, 80/20 Bronze, Phosphor Bronze, Nickel, Stainless Steel and Classical Nylon. Loop End strings are available in Plain Steel, Phosphor Bronze and Stainless Steel. Bulk long scale bass guitar strings are available in Nickel and Stainless Steel. The International Bluegrass Music Association (IBMA) is pleased to announce the first annual IBMA Bluegrass Scholarship Prize. A cash award of $100 will be announced at the IBMA Award Ceremony, and presented to the developing scholar who presents the best paper on an aspect of bluegrass music at a juried academic conference within the timeframe of January 2010 - July 2011. "Developing academic scholars" are graduate students in MA or Ph.D. programs, or individuals whose advanced degree was conferred within the last five years. 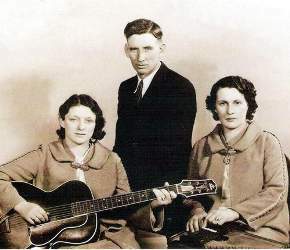 Since the early 1800s, music has been an integral part of the Brewer family. The tradition continues with Gary Brewer. Gary represents a new generation of bluegrass artists who have a deep respect for the roots of bluegrass and old time music – but are willing to put their own personal stamp on the music. Gary has been noted as one of the finest lead singers to come along in quite awhile, receiving high praise from major reviewers and national stars in the music business. His guitar picking is creative and powerful on both rock solid rhythms and powerful solos. A singer, guitarist, and songwriter to be reckoned with, Gary has worked hard to blend the traditional music he grew up with and bluegrass music as we know it today.